…running commercials linking Mr. Obama to incendiary comments by his former spiritual adviser, the Rev. Jeremiah A. Wright Jr., whose race-related sermons made him a highly charged figure in the 2008 campaign. The ad would reportedly front an “extremely literate conservative African-American” who would say that Obama presents himself as a “metrosexual, black Abe Lincoln.” This particular group of conservatives seems terminally obsessed with the Jeremiah Wright fuss, which the public may now see as a no-longer relevant yawner. …Should the plan proceed, it would run counter to the strategy being employed by Mitt Romney’s team, which has so far avoided such attacks. The Romney campaign has sought to focus attention on the economy, and has concluded that personal attacks on Mr. Obama, who is still well liked personally by most independent voters surveyed for polls, could backfire. The ad would run during the Democratic convention in Charlotte. It also calls for billboards and aerial banners etc. via GOP Ads About to Take Lower Road in a Big Way | Democratic Strategist. We don’t have Wall Street BILLIONAIRES Behind Us! Mitt is a mean dude. You and I know it, but most people don’t know what he did to poor Seamus, and you know what? The folks that do will have a huge. impact on this election. Independent and undecided PET OWNING voters will make up several million voters in the battleground states. To pet owners and lovers, putting a dog on the roof of a car for 12 hours is no laughing matter. Our current goal is 100 people giving just $17.99 a month – the price of a bag of kibble. Will you help defeat Mitt Romney and the rightwingers?? 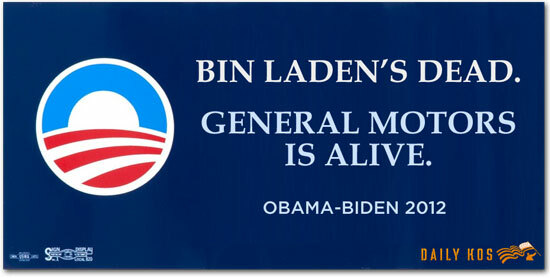 Please join in playing a crucial role in President Obama’s reelection – spread the word about Mitt is Mean. Even if it’s only $25, $50 or $125 or $18 – every dollar will help spread the word in the critical battleground states. We don’t have Wall Street CEO’s writing us $1 million checks. Our goal right not is to get 100 people to give just $15/month. 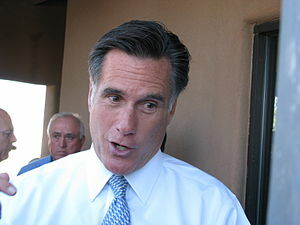 Will you help us defeat Mitt Romney? Boston, MA-Michael Smerconish really stepped in it last night when he guest hosted MSNBC’s Hardball. He described Mitt Romney’s abuse of his dog, Seamus as “embarrassing.” Embarrassing or cruel? You decide for yourself. You may have heard the story. In 1983, the Romney family took a vacation and drove 12 hours to Canada from the Romney mansion in Massachusetts. For the entire trip, the family’s Irish setter, Seamus was exiled to a crate strapped on top of the station wagon. When Seamus answered the call of nature and rained on the Romney parade, mean Mitt hosed the car and poor Seamus down. Mitt is a mean dude. If Romney teats his own pet like this, how do you think he’ll treat you? Romney has already made it clear that he doesn’t care about the cares and concerns of poor people and working families. Smerconish has his own pet. I just hope his dog fares better than poor old Seamus did. Mitt is Mean is a group of animal lovers and pet owners who want to make the case against the coldblooded and calculating corporate CEO. We will fight a targeted online video campaign against Romney in the battleground states focused on Romney’s indifference to the suffering and pain of Seamus and working Americans. Check us out at www.MittisMean.Org.